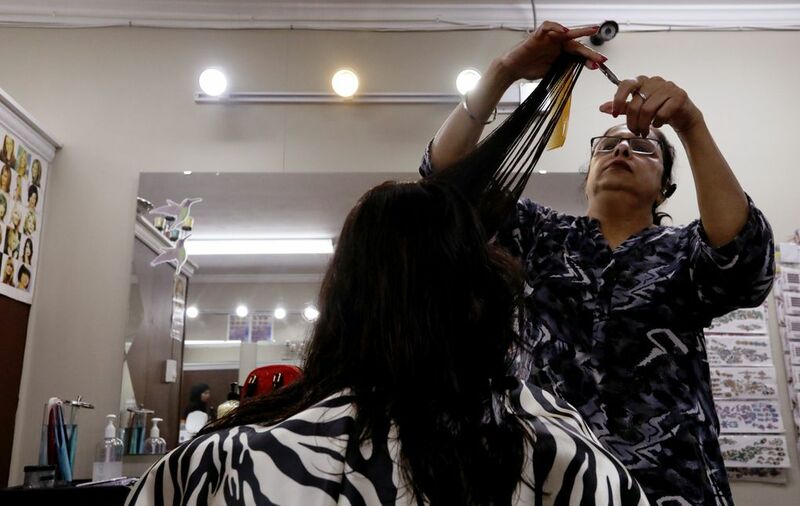 The melody of many languages softly fills the small space of the Hina Beauty Salon in Kent — Hindi, Arabic, Urdu, Somali, Telugu, Punjabi and English. Henna artist Saba Naaz, originally from India, knows four of them. 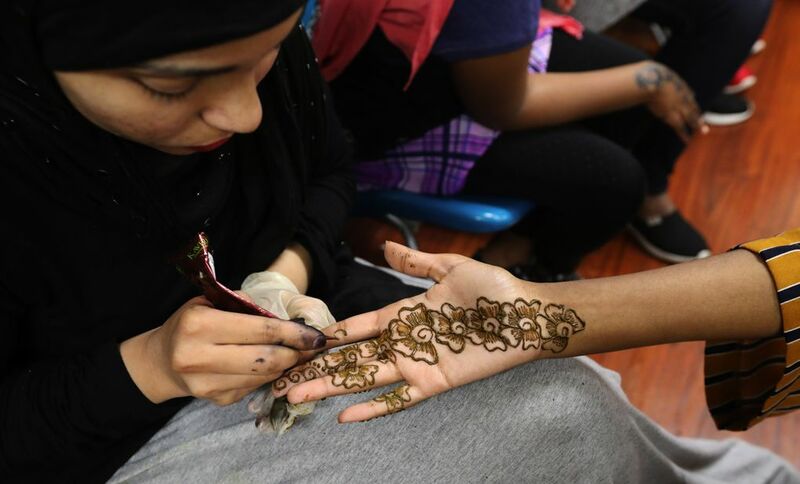 She’s providing an Eid special of decorative henna adornments, only $15 per hand to celebrate the recent end of the holy month of Ramadan. Today will be another 11-hour marathon. Four Awale sisters — Ladan, Nafisa, Najma and Farhia — patiently wait to let a pattern dry or to take their turn. There’s a sign-up list by the door. The wait time can be substantial. Naaz says that late in the day it’ll be standing-room only. 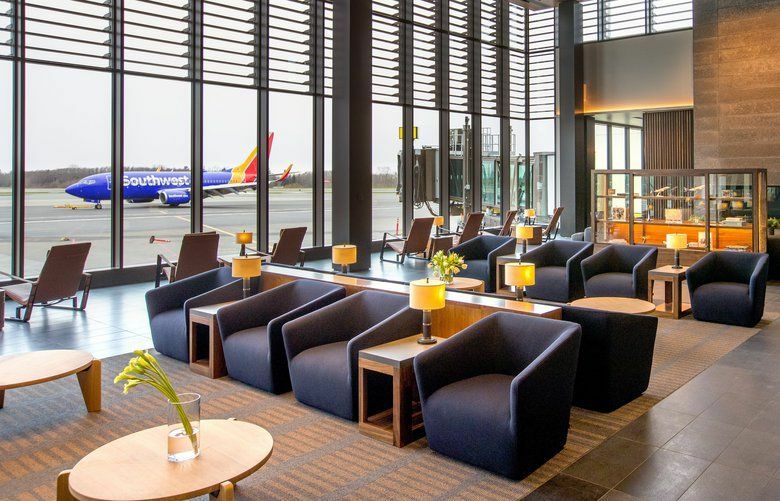 Some women arrive and peer in — it’s a women-only clientele — and find the waiting list too long. 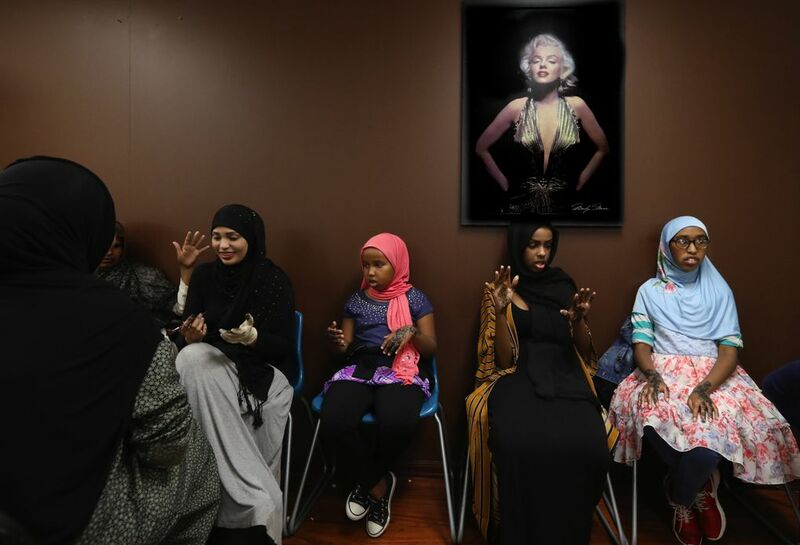 Watching over the scene in Kaljeet Kaur’s salon is a framed poster of Marilyn Monroe. She bought it a decade ago because she liked it. 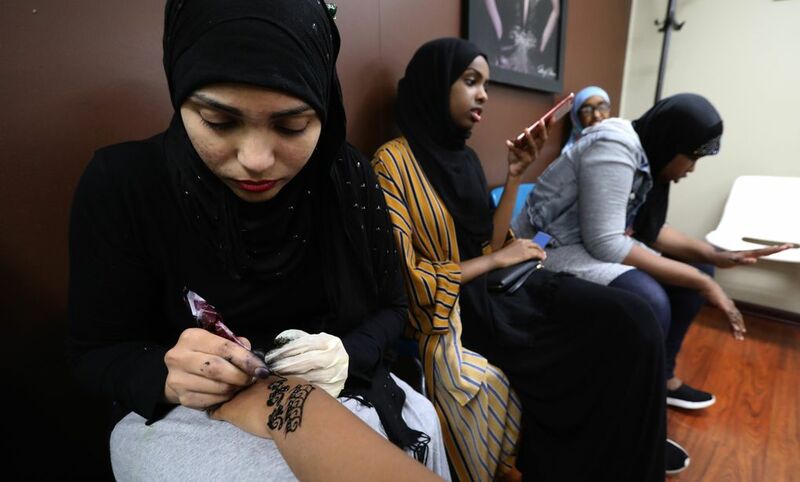 Many women waiting for their henna patterns, when asked, don’t know who the late actress is, but they do know she represents glamour and beauty. This salon offers a full line of beauty treatments, including haircuts and hair colors, facials and makeup. 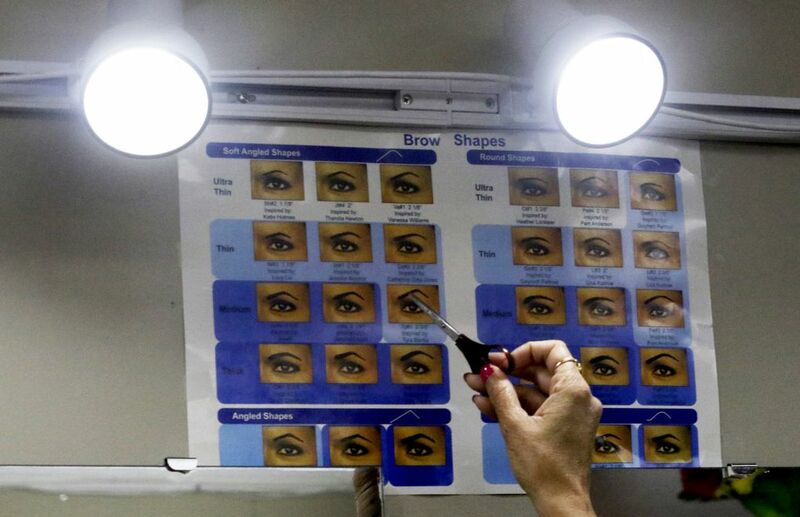 Kaur pointes to more than two dozen eyebrow shapes. 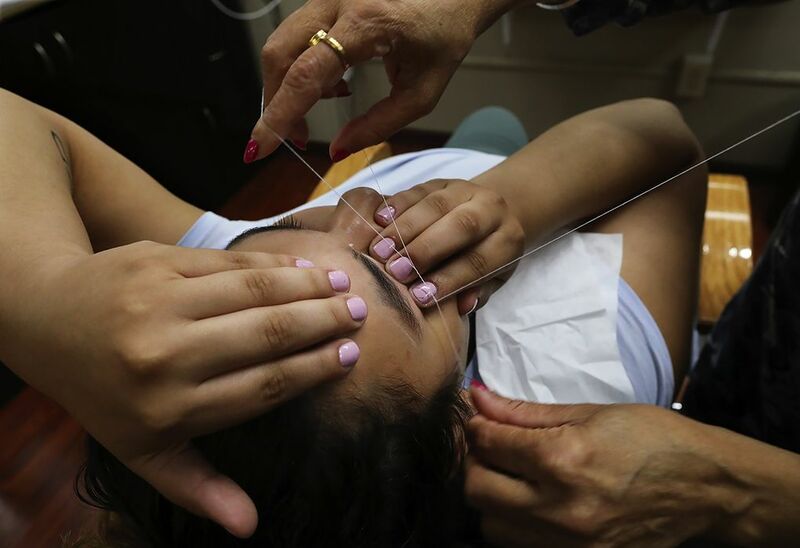 A client chooses one, and a process called threading, removing one eyebrow hair at a time, begins. 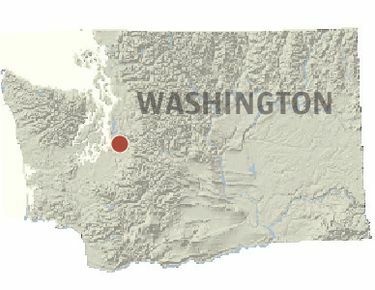 It’s considered precise and gentle. The processes of beauty takes time. 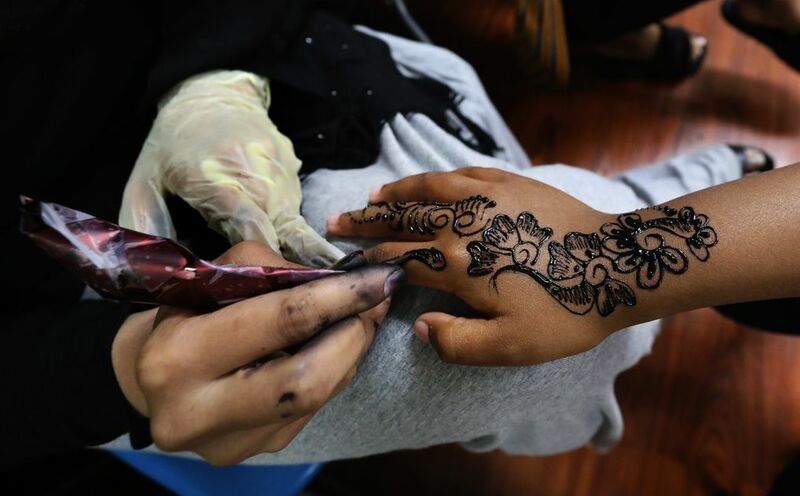 Each henna pattern requires 10-to-15 minutes per hand. Drying takes longer. To receive a henna pattern, you simply have to be old enough to sit still. If a person is careful with it, and with gentle washing, it should last two weeks. 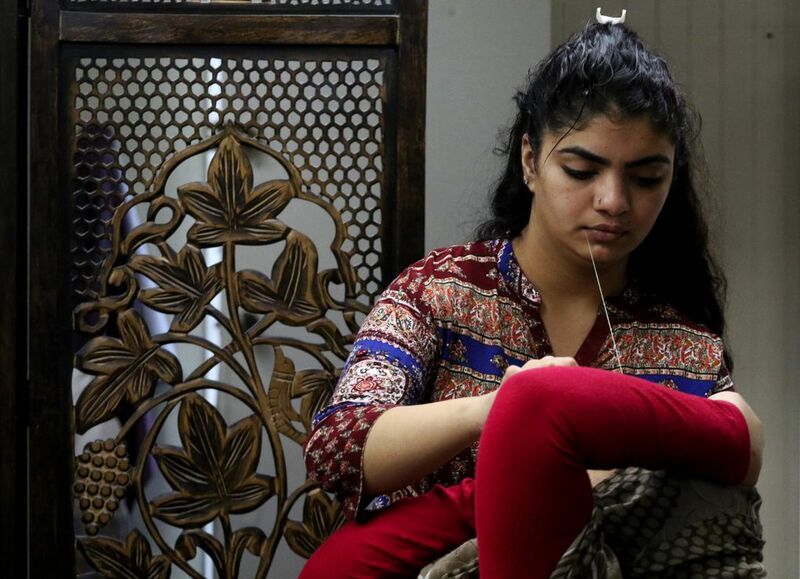 Naaz says her work is for art, for beauty and for fun.